We will be holding CPO classes on September 27th-28th. 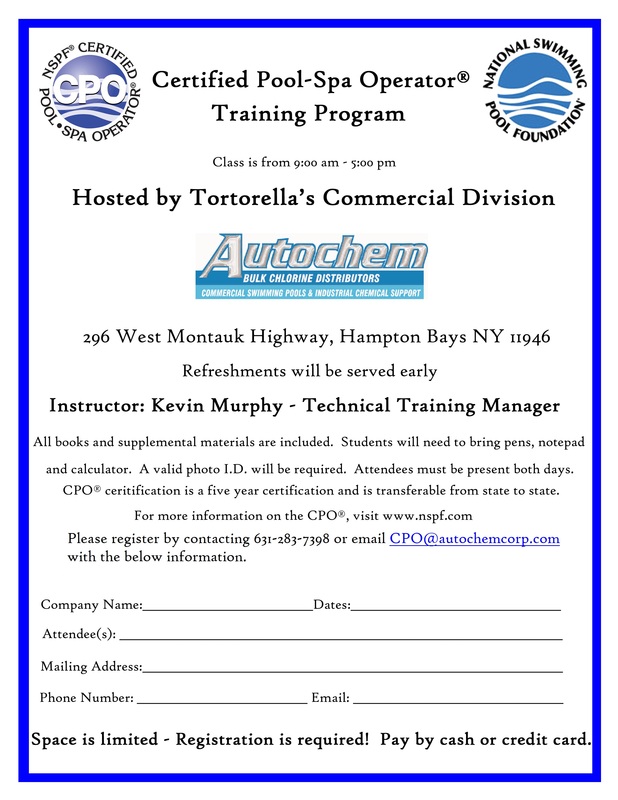 Tortorella’s CPO classes are held from 9 a.m. – 5 p.m. over the two days. Fee for the course is $325 (all books and supplemental materials are included). All CPO classes are taught in English and tests will ONLY be administered in English. For Spanish language classes, or any other language, please contact the National Swimming Pool Foundation directly.